A BUBBLING CAULDRON: Council Picks American Fairs & Festivals! At thei r special council meeting this afternoon the members of the Costa Mesa City Council decided to team up with the partnership of American Fairs and Festivals/Advanced Real Estate Services over Facilities Management West as the Number 1 ranked proposer as they move forward in their quest to acquire the Orange County Fair and Events Center from the State of California. With that decision made, they will now continue to burn the midnight oil to negotiate with American Fairs to see if a satisfactory agreement can be reached in time to present the City's proposal to the State by the 20th. If those negotiations fail they will turn to Facilities Management West. The open session of the meeting began a half-hour late, at 4:30, and the next half-hour was spent hearing public comments. Of the eleven speakers, all but two spoke in favor of American Fairs and Festivals. Guy Lemmon, President of Facilities Management West spoke on behalf of his offer. During his presentation - extended beyond three minutes by council vote - he mentioned that an element of Comcast-Spectacor, the organization they hope to use to help manage the Fairgrounds if they were the successful bidder, is Ovations Fanfare, which has been providing food and beverage services at the Fairgrounds since 1995. The other comment was by a gentleman named Ron Granados, representing his company, Granados Partners, which he described as a bunch of ex-Disney guys. He encouraged the council to tell the State they couldn't come up with an offer in the time presented. It was clear that he wanted a shot at buying the property himself. He said it was worth $150 million and would be a nice place for such things as a Vatican Library, a water park, hotels, a permanent Cirque du Soleil and one item that I'm sure caught the attention of a couple council members - a Latino Hall of Fame. Talk about the kiss of death! Following public comments they moved to a closed session meeting. The council emerged from their closed session at 6:05 p.m. and City Manager Allan Roeder announced the results of the ranking of the proposals. The recommendation is to select American Fairs & Festivals as number 1 ranked proposal and Facilities Management West, Inc. as the second. 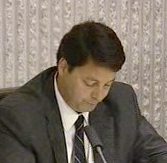 During their comm ents, Mayor Allan Mansoor said he had "concerns", but wouldn't elaborate beyond indicating that they still didn't know where the money was coming from, but it seemed clear that other issues were on his mind. When the vote was taken it passed 3-1, with Wendy Leece, Katrina Foley and Gary Monahan voting "yes" and Mansoor voting "no" and Eric Bever being absent. City Attorney Barlow later reported that Bever bugged out of the closed session at 5:17 p.m. - shortly after they convened. No reason was given - maybe he just decided (again) that he didn't want to be involved. DID RIGGY LIGHT THE FUSE? A 3-1 vote with one absence hardly shows a unified position by our elected leaders. Because Mansoor was obviously irritated by the process, it makes one suspicious about what motives he might have for voting against the selection of American Fairs and Festivals as the first choice. Some have suggested that Jim Righeimer may be exercising his political influence over Mansoor. Since it was reported that Riggy wanted to "blow up" the process, could it be that what we're seeing here now is him lighting the fuse of that bomb? I think every city should have a latino hall of fame or better yet make it two. Then everyone can celebrate the diversity. The following is a question from an employee and a response from the City’s consultant Becky Bailey-Findley. Question: Will the operator’s records, documents, contracts, correspondence, financials, etc. be subject to the California Public Records Act? Answer: "Both proposals being considered indicate that private companies will operate the OCFEC. The City does NOT plan to operate the OCFEC but rather, contract with a private operator through a JPA. The operator as a private company is not required to make its documents and information public, subject to the California Public Records Act. The only exception that I can foresee are those documents the operator provides to the JPA that is providing oversight of the operator’s contract. The JPA records will be public, subject to the California Public Records Act." WeGottaGo, that's an interesting issue. Your observation is third hand, subject to some dilution. I'll see if I can get it confirmed. 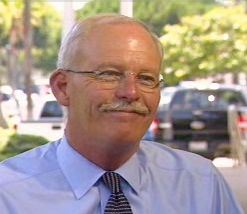 Thanks..
WeGottaGo, I was in touch with City Manager Allan Roeder on this issue. He confirmed Becky Bailey-Findley's response, indicating that as things stand right now the Operator would not be required to provide all the information indicated, in part because it does not involve expenditure of tax dollars by a government entity. He mentioned a similar arrangement with the City's golf course operator and other private firms doing business with the City on a contracted basis. To make it a requirement of this arrangement would be an exception to current business practices. He did go on to indicate that negotiations are on-going and that if the City demanded that level of disclosure as a condition of the ground lease that would be something for the operator to consider. Question: As an independent entity, the operator will have a Board of Directors separate from the JPA board. Will the operator conduct its board meetings in accordance with open meeting laws? Answer: The operator, as a private company, will most likely have a board of directors and as a private company they are not required to conduct board meetings in accordance with open meeting laws. The JPA is a public entity and will conduct meetings in accordance with open meeting laws. That sounds right. As a private entity the operator will not be required to open it's meetings to the public. It's the same as Tel-Phil or any of the other corporations that do business at the Fairground now. The Fair Board must adhere to open meeting laws because it's a state entity, just like the city council is to Costa Mesa. Was there a further point you were trying to make? I think the point that both I and cracked is trying to make is that you and the derail the sale group including Pacific Progressive, Sandy Genis, and Greg Ridge, are all curiously silent on the fact that the city has made it clear that the fairgrounds, under the Teller regime, will have no transparency at the operational level. Why the silence now? Why are you okay with this lack of transparency at the fairgrounds now? WeGottaGo, you're talking apples and oranges. The Fair Board is a public entity and is supposed to follow the laws governing meetings, etc. The entity that will operate the Fairgrounds under the City plan will be a private organization. However, enhanced transparency may be part of the negotiations - I don't know because those issues are discussed in closed session. I understand your apprehension. What's your suggestion? I just find it interesting that you and the rest of the derail group would sacrifice transparency just to get rid of the fair board, even though, I'm pretty sure, most of the current members are up for replacement anyway. You guys screamed about a land grab being engineered by the board but ended up backing up a land grab by a private operator. Maybe that was the derail plan anyway. Despite all the recent chaos, I still hold out hope that the sale is derailed and the fair continues to be a state facility. Like I said, most of the current board is up for replacement anyway, so it is just a matter of time before you are rid of those who you have painted as villains. WeGottaGo, I'm not a member of Derail The Sale, Save the Fair or any other group. My opinions expressed here are mine, period. I didn't like the way this thing came down from the beginning. I, for example, don't believe for one second that the Fair Board had the Fair's best interests in mind when they dispatched Ackerman to Sacramento to find a sponsor for the bill to sell the Fairgrounds. They started this whole mess, hope the sale goes through as proposed by the City and that the members of the Fair Board are left without a seat - which is exactly what will happen. Not that it matters, but you sound VERY much like a Fair Board member - are you? If the City's proposal fails then the State goes back to the drawing board. Maybe they will put it back on the auction block or maybe they will listen to the Fair Boards "profit sharing" pitch. I guess that means they will hear about what they will do in the future that they should have been doing in the past. We'll see. I'm not a board member but I am confused. So, you aren't concerned about lack of transparency by whomever operates the fair, you are not concerned about privatization of the fair, and you are not concerned about those who will probably get cut out of the mix due to economic reasons. What is your concern? Is all of this about removing the fair board at all costs? Or is it about getting the property into the swap meet's hands? WeGottaGo, I'm concerned - just as many Orange County residents are - about retaining the Fairgrounds and all the activities presently held there, including the Fair, Marketplace and the other 150 or so events each year. If it's going to be operated by a private business - just as Craig Realty would have been had their bid been accepted - I worry about them being able to make a profit and stay in business. As the current economic times have taught us, there are certainly no guarantees in life. IF the city negotiates a good deal, and IF the State accepts it then we can put this behind us. Tuesday the City will form the Joint Powers Authority during it's council meeting - the next necessary step in this process.